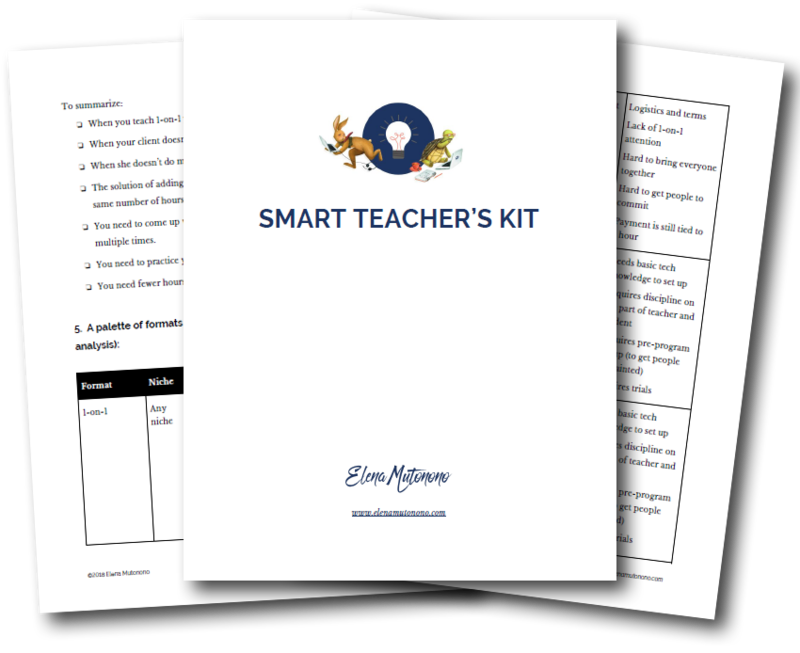 In this free 22-page Smart Teacher’s Kit I walk you through the process of building your online language teaching business that grows without killing your passion and freedom. is a former ESL teacher and an Accent Trainer. She discovered smarter and more effective language teaching models that helped her create more freedom, income and impact in her business.